Shopping for Caddyshack Vinyl Figures? Ready to cause trouble! Get ready for another round of Caddyshack Vinimates, based on the classic golf comedy! This 4-inch vinyl figure of Gopher is sculpted in the iconic Minimates block-figure style. Ready to cause some trouble, this character features an articulated neck for further posing options. Collect all of the Caddyshack Vinimates to complete the set (sold separately)! 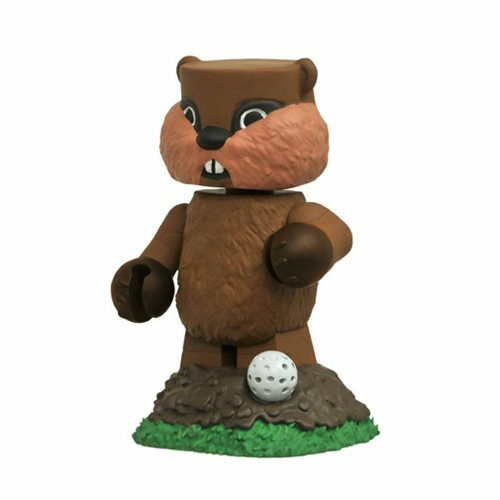 This Caddyshack Gopher Vinimate Vinyl Figure comes packaged in a full-color window box. Fore! Ages 17 and up.